Over at DISTherapy.com, I am honored to be included in DISTherapy’s 40 Days to 40 Years Project. Head on over there, read about 1983, and learn more about the Magic Kingdom in 1983! Just click on the banner above! I hope you enjoy! 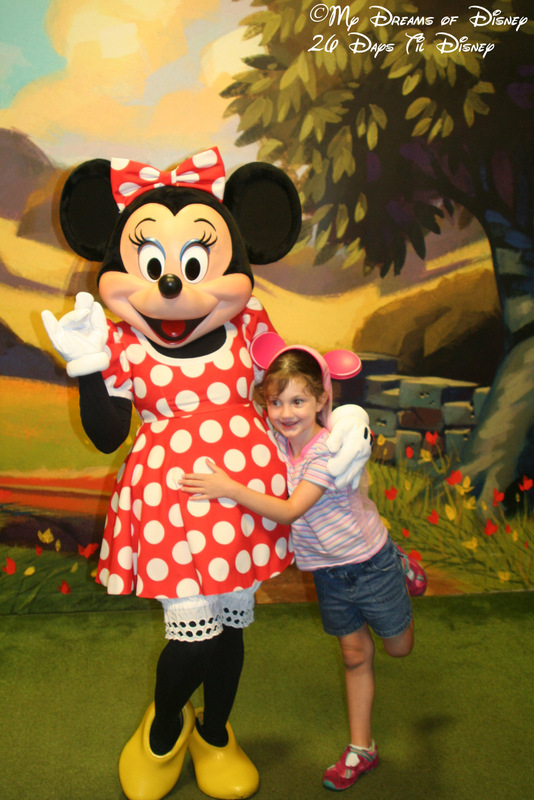 Sophie and Minnie Mouse – 26 Days Til Disney! In today’s picture, we take a trip back down memory lane to the old Judge’s tent in what used to be known as Mickey’s Toontown Fair. In this picture, Sophie was loving on one of her favorite Disney characters — the timeless beauty of Minnie Mouse. Sophie had determined early on that a true princess poses with one leg stuck out, so that was what she was doing. You will also note the pink Minnie Mouse ears that she was wearing — we still have those to this day. This shot was taken during our first trip to Disney World when we stayed on property — 2007. I hope you enjoy my pictures! Thanks for checking in!